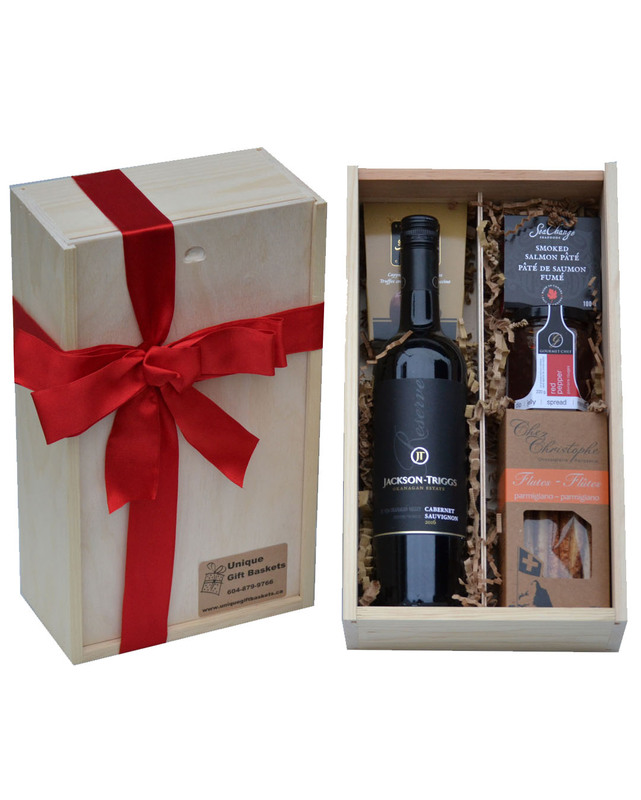 Our Vancouver made wooden gift crate is built to impress, perfect for corporate gift giving. This gift box is full of locally made products as well as tasty B.C. Wine. This versatile basket is suitable for a wide range of occasions. As with all our gift baskets they can be customized with your branding, either engraved on the lid or on a plaque on the side.